An interesting cask strength whiskey release by Jim Beam. Booker’s True Barrel Bourbons are 6 year old bottlings straight from the barrel, originally hand selected by Jim Beam’s grandson Booker Noe. The product has been around since 1988. Ever since then, Booker’s True Barrel releases have taken a cult status amongst bourbon fans all over the world. 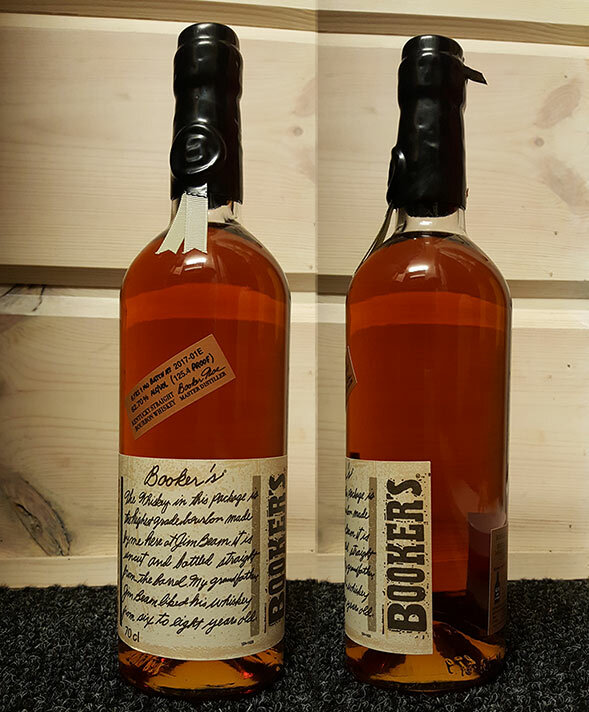 Booker’s bourbon has always been a small batch product and when you add to that a non-chil lfiltered straight from the barrel whiskey, it surely sounds tempting. I was fascinated by this bourbon before I had even opened up the bottle. The label and bottle design says it all. This product is at the very heart of small batch craft whiskey production. Taken from the finest casks, bottled naturally, keeping the intense flavors and character. Doing it as old school as you can do it. With a mash bill of 75% corn, 13% rye and 12% barley. Every batch is highly limited. True Barrel 6 years 1 month old Booker’s in question is Batch 2017-01E. Bottled at a mighty cask strength of 62.7% ABV. I’ve used Old School the movie as reference before, but this time it really suits for the dram in question. First of all, Booker’s is very American, like the movie. Booker’s True Barrel is very hefty and natural, like Frank The Tank in the movie. Both are strong and entertaining. Frankly, both are quite simple. Even Booker’s is ridiculous from time to time. Ridiculously good when you have to sit back and take all of its natural heavy aspects in. American whiskey taken straight from the casks as natural as it is. That is very Old School! Nose: Eucalyptus and heavy corn and hints of malt. Water adds spices and wee vanilla notes. Big straight forward aromas. Taste: Amazing palate. Sweet and sour cherries with toasted malt and vanilla. Drops of water make the cherry notes even stronger and sweeter. Bit minty. Finish: Peppery and bitter. Cherries and hints of dark chocolate. Water makes it more spicy, cayenne pepper and oak lingering nicely. Balance: Quite simple but very tasty. It has lots of character and the cherry notes are lovely.